It’s not the just the regular season or playoffs where Bob doesn’t want a puck to get by him. His teammates have become used to it, a scenario they’ve seen over and over again during Columbus Blue Jackets practices. When players pick up speed and zoom towards the net, they know that if they miss their first shot, Sergei Bobrovsky will do everything he can to deny the second scoring chance. It’s easy to understand why they would. Thirty-two wins shy of 250 for his NHL career, Bobrovsky, who has racked up 176 of his 218 victories with Columbus, is as motivated as he’s ever been. After an-opening round loss to the eventual Stanley Cup champion Washington Capitals in last year’s Stanley Cup Playoffs, the Blue Jackets have their sights set on a much deeper run in 2018-19. 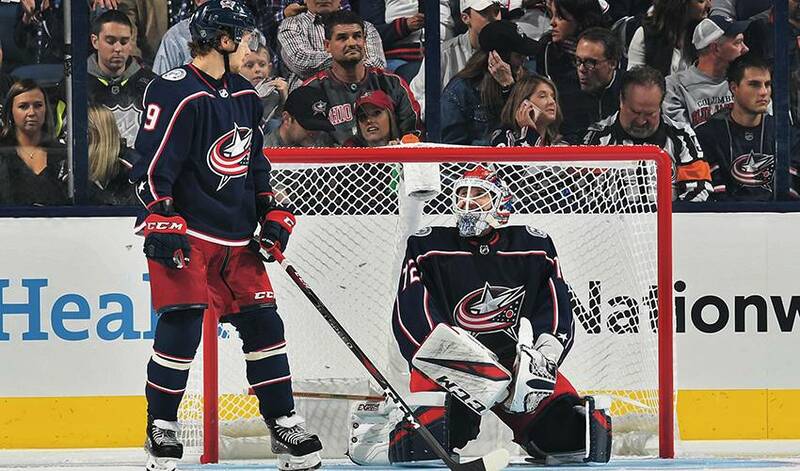 The players know that Bobrovsky, a two-time Vezina Trophy winner, is a major factor in the team achieving its goal. Two seasons ago, Bobrovsky won a career-best 41 games and led the league in save percentage (.931) and goals-against average (2.06). The 30-year-old capped off his campaign with his second Vezina trophy, four years after he won his first. Since arriving in Columbus in 2012-13 via a trade with the Philadelphia Flyers, he’s won 176 games with a .923 save percentage and 24 shutouts. But it’s not only his play between the pipes where Bobrovsky, who won gold with Russia at the 2014 World Championships, garners great reviews from his teammates. “As a person, he’s just such a nice guy,” said Werenski of the two-time All-Star. “He’s a lot of fun to have around the dressing room. All the guys really respect him and like having him around. “He’s just an awesome guy. I could say a lot of great things about him. Even if Bob isn’t the type to give away freebies during practices. It’s official, there will be a goalie on the cover of EA NHL 14. Both Martin Brodeur and Sergei Bobrovsky made it to the final vote. We’re into the Semifinals of EA Sports’ NHL 14 Cover Vote, with players going head-to-head as we race to the finals. Sergei Bobrovsky posted his career-high ninth shutout along four straight wins, helping his club to a perfect week and a into playoff position. Yes, it’s puppy love for the 24-year-old Columbus Blue Jackets forward.